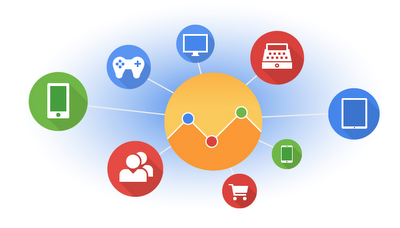 Universal Analytics is the future of Google Analytics. Universal Analytics will be out of beta very, very soon. Classic Google Analytics won’t go away, but all future enhancements will only be released to Universal Analytics. 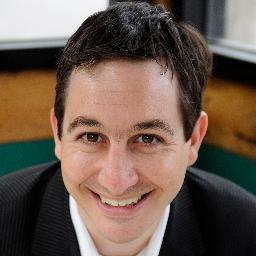 Justin encouraged planning for the migration to Universal Analytics now – especially for larger sites with more time between releases. Justin also recommends using Google Tag Manager to assist with this implementation. Remarketing is currently the only feature in classic Google Analytics that is not yet available in Universal Analytics. Remember those cross device measurement reports that Google announced at I/O back in May of last year? Justin indicated we can expect them “very, very soon.” This will allow you to measure multi-device paths to conversion. For instance, you’ll be able to track a user as they start building their cart on their mobile phone through to checkout on their laptop. Keep in mind that in order for these reports to work, you’ll need to use Universal Analytics and provide a ‘UID’ (User ID) to connect the dots between any given user’s desktop, phone and tablet. There will always be a free version of Google Analytics. With the launch of Google Analytics Premium, this has been a common concern. With so many of us relying on a free tool, it’s good to know that it’s here to stay. For the Google Analytics API, Justin said that his team’s goal is to make every report, metric and dimension available in the Web UI through the API. Industry benchmarks will be available again soon in a different more useful format. Justin said they decided to remove them because they led to more confusion than helpful insights. Google Tag Manager (GTM) will soon undergo a big UI refresh to help management of tag containers with a large number of tags, rules, and macros. GTM will also soon allow you to set a firing order for tags in a particular container. This is a big deal as tags currently fire in random order unless you use this workaround. Justin also delved into a number of other topics such as building a measurement plan, performing an analytics audit, as well as big data and the ‘internet of things’. I won’t get into that here other than to say that it’s clear from hearing Justin talk that we can expect our roles as data analysts to change dramatically. Rather than us analysts dissecting the data to build recommendations, we’ll be designing the systems that do it for us. Exciting times! Thanks again to Justin for taking time away from his family to answer our endless questions and to @Gahlord for hosting the event at ThoughtFaucet. Have questions about this post? Get in touch with me by leaving a comment or Google+. Don’t drop a line like that and leave us hanging! GA is changing so rapidly that I can’t keep track of all the changes but, as far as I know, neither content experiments nor demographic reporting are currently available in Universal Analytics. I’ll be glad when they are, I’m sick of using 2 snippets and having my data split between 2 accounts.